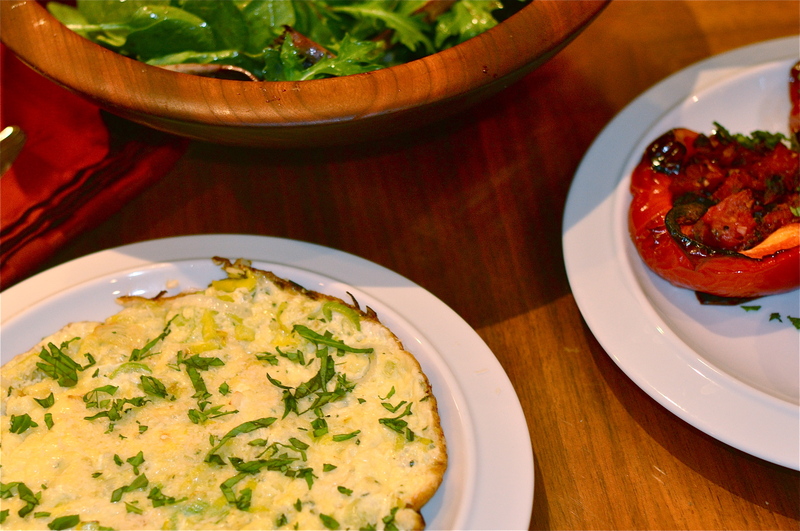 These roasted red peppers have been part of my mom’s dinner party repertoire for years. And when I made them for a recent preschool parents potluck they disappeared. 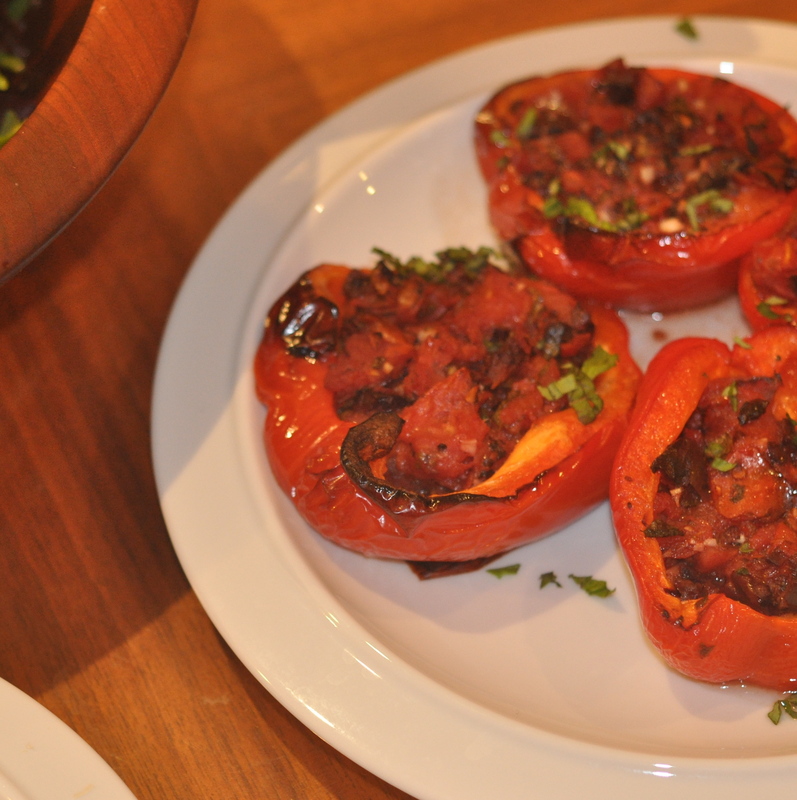 Roasted red peppers stuffed with tomatoes, olives, and basil. My mom refers to them as “Betsy’s Peppers,” after the friend who gave her the recipe. Betsy was enviably fashionable and seemed to know anyone and everyone interesting. When in London, where she lived a third of the year, she socialized with Rose Gray and Ruth Rogers, the duo behind the River Cafe. In The Cafe Cookbook, Gray and Rogers include a recipe so similar to Betsy’s that I began to suspect that she had gotten the recipe from them. My mom thinks otherwise, in part because, sadly, Betsy died before that book was published. So I will continue to call them Betsy’s Peppers. Last week, I served them for dinner alongside a leek frittata and a salad. Preheat oven to 350 degreees. In a bowl, mix the tomatoes, garlic, olives, basil, olive oil, and salt and pepper. Halve each pepper vertically, remove the seeds, and coat lightly with olive oil. Spoon the filling into the pepper halves, and bake for roughly 45 minutes. You want the peppers to be cooked enough that they lose their crispness and get a bit charred, but not so much that they get very soft and lose their structure. These look great. Love the idea of adding olives.